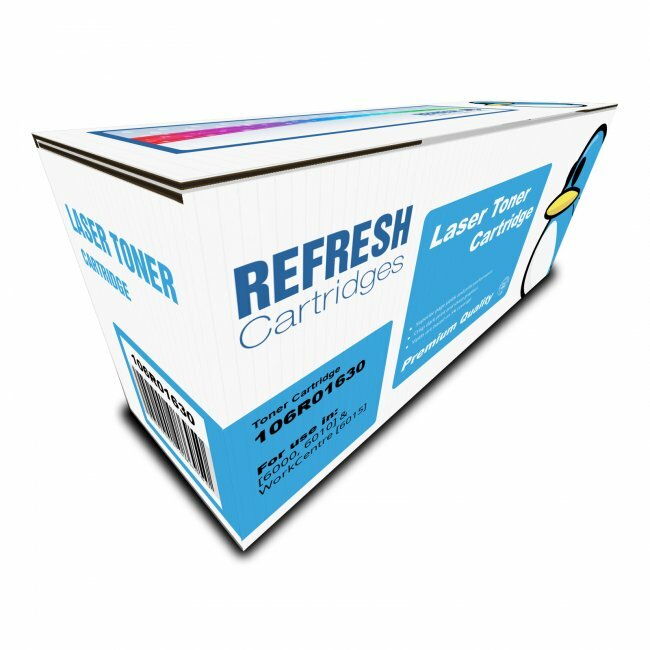 Our remanufactured Xerox 106R01630, 106R01627, 106R01628 and 106R01629 black toner cartridges have been produced using the genuine article to make them as environmentally friendly as possible. As many components from the original Xerox 106R01630, 106R01627, 106R01628 and 106R01629 are retained and cleaned, any other parts are replaced with a high quality compatible components. 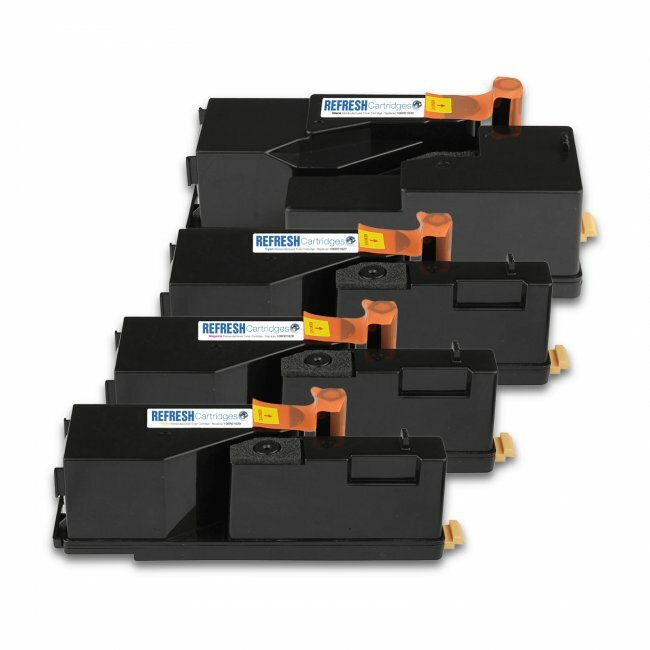 The resulting cartridge is then filled with a compatible toner designed to fuse at the very same temperate as that found in a new Xerox 106R01630, 106R01627, 106R01628 and 106R01629 cartridge. 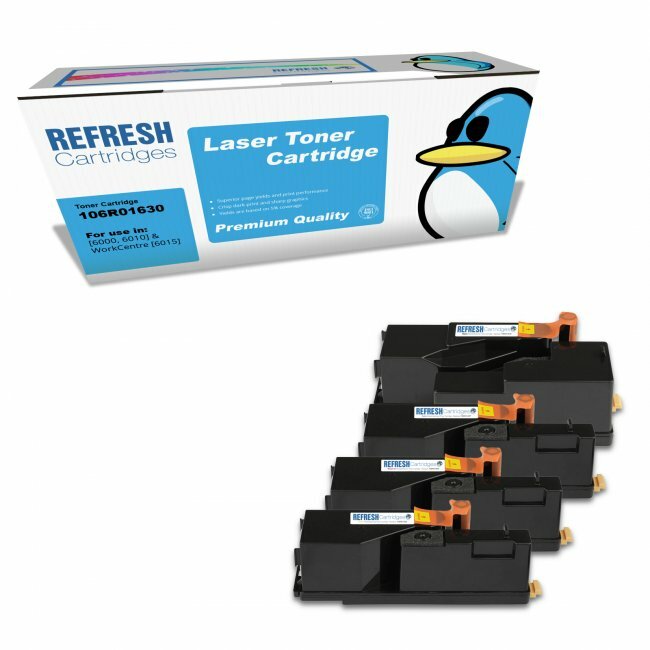 We are so confident in our remanufactured Xerox 106R01630, 106R01627, 106R01628 and 106R01629 laser toner cartridges that each one comes with a 100% satisfaction guarantee. Having bought these toner cartridges before, I know how good they are - and at a price considerably cheaper than original manufacturer replacements. Have installed & used two of the colours. Have been printing work with complex fine lines & quality is so far, excellent. Cartridges don't have a label denoting colour so prob best you put your own sticker on b4 installing to avoid any confusion.